The easiest dress to wear ever. 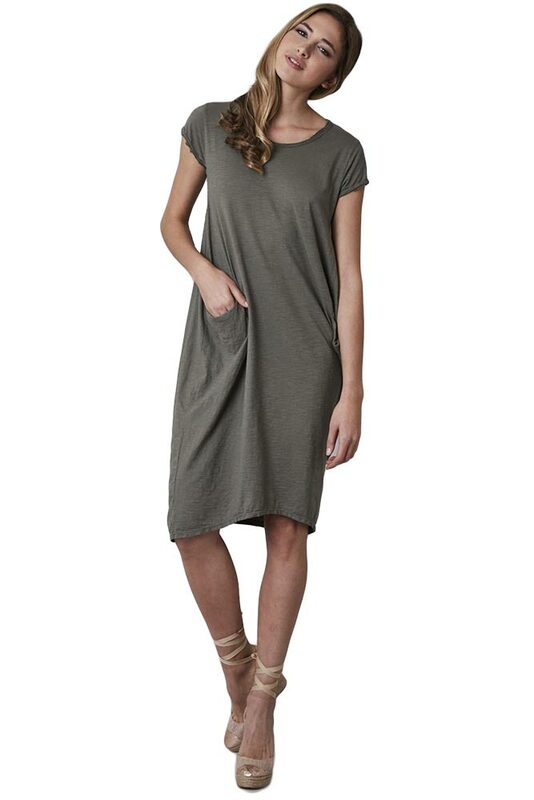 This khaki 2 pocket tshirt dress will suit all shapes and sizes and is so versatile that one will not be enough! Wear your tshirt dress with flats and sandals during the day or choose a boot for when its gets cooler.